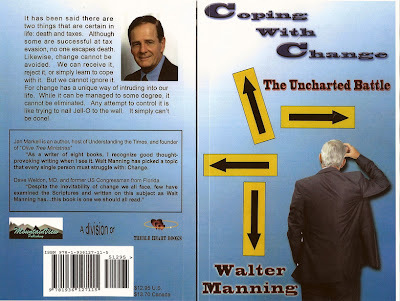 In November 2011, author Walter Manning’s ninth book was published and released for retail sales. 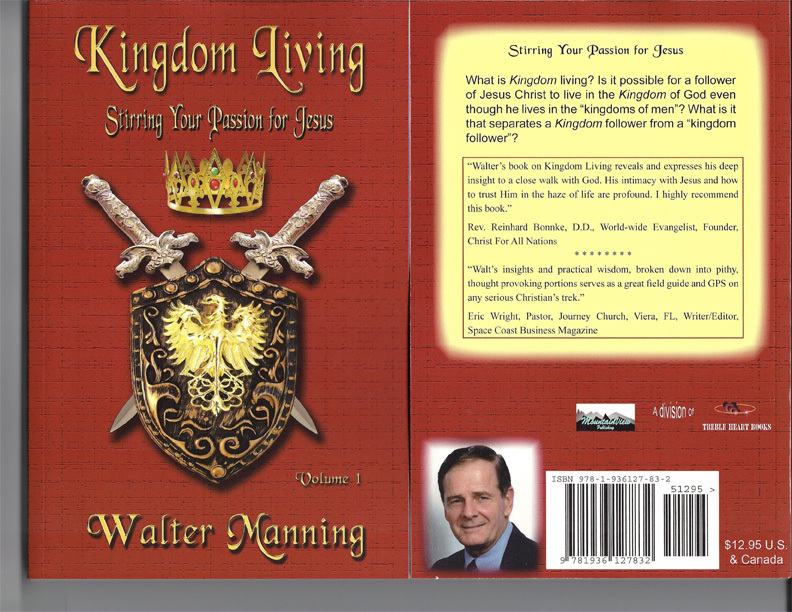 The book, entitled Kingdom Living, is the first volume in a series of volumes currently scheduled, each addressing the same subject. 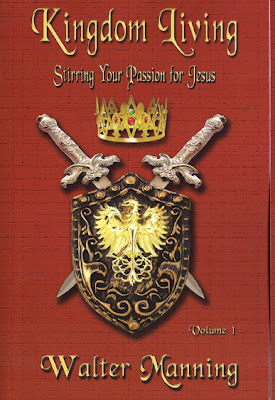 The foundational theme of Kingdom Living centers around one rudimentary question: How can a Christian live in the Kingdom of God while living in the kingdoms of men? To answer that question, the author examines a multitude of Scriptures with the intent of discovering applicable biblical precepts and principles. Future volumes are targeted at a rate of one volume every six months. 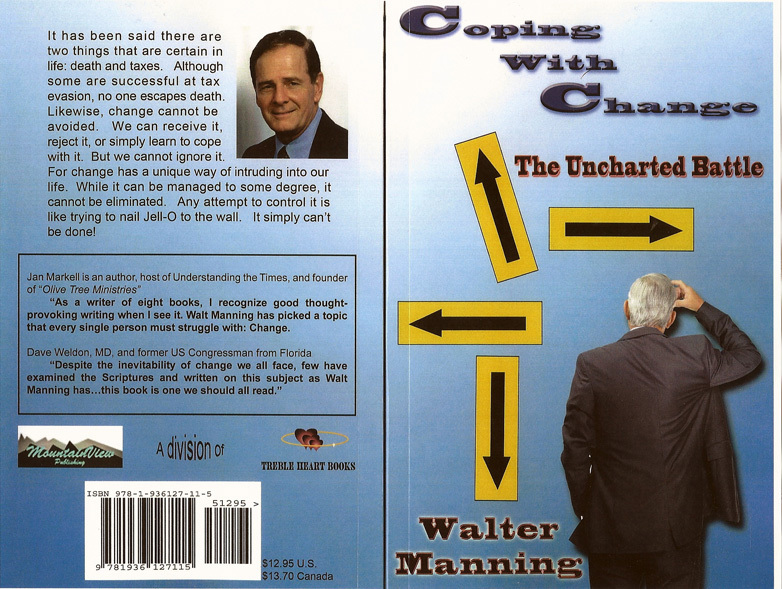 Published in March 2010 and June 2010 were Coping with Change and Facing Unemployment, respectively. Although each of us will face change (whether emotional, physical, spiritual, or material in nature) some will cope with change better than others, Christian or not. The basic theme of Coping with Change addresses this question: What are the biblical principles that Christians should employ in order to cope with change successfully? Facing Unemployment was written for a wide audience, irrespective of one’s particular religious faith. 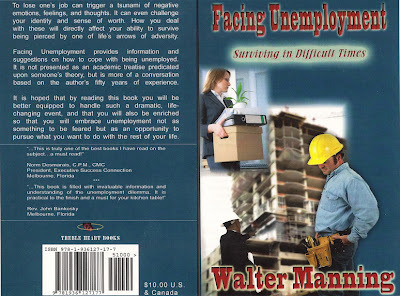 The purpose of the book is to help the unemployed become gainfully reemployed. It covers such topics as: attitudes; emotions; reducing expenses; establishing a plan; writing a resume; conducting a job search; preparing for an interview; managing your finances, and preparing for a layoff. 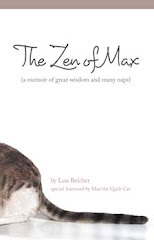 Books can be procured in one of four ways: 1) From the publisher at trebleheartbooks.com, 2) Through amazon.com, 3) Ordering from a local book store, or 4) Purchased directly from the author at waltmanning@hotmail.com. When ordering from the author, be sure to write “Books” in the subject line of the email.